On Monday night we decided to take the boys out to dinner and then down town in old San Juan to see the Christmas lights. We had a lot of fun and it is still weird to look at the lights and not be all bundled up and freezing. My camera died so I was a little bumbed but I was able to get a few pictures. Remy loves to say "chesse" when we take pictures now. His newest word is "ouch", he says it so funny. The boys got some sweet ballon swords from the resturant, this time they actually didn't pop in the first five minutes of having them like last time. I don't know what these trees are called but they have them all over the island. They are pretty cool, they have a ton of vines that form into the tree. The boys are sure good little buddies, I love to watch they play and make each other laugh. Travis and I celebrated our 6th anniversary on November 22nd. We decided to go to Culebra to spend a night with no kids. My good friend Mardy was so nice and watched our boys for us. We had such a fun time! Travis rented a scooter for us to crusie around on. I was a little nervous at first to say the least, I had a death grip on Travis for the first few rides. The island is only about 7 miles long, we a fun time exploring different beaches that we haven't been to yet. Both me and Travis commeted to each other that the only reason we would ever come back to Puerto Rico is to get on another plane to go to Culebra, it is our favorite place to go the beaches are so beautiful! This is the awesome view from our balcony were we stayed. This was one of the highlights of the trip for Travis, I also enjoyed it! Travis was so excited when we picked up the scooter, he had a grin from ear to ear. We went an explored a few new beaches, this one is Zoni beach and it was really pretty and no one else was there! Doing a L pull up on a tank with some sweet grafitti at Flamenco Beach. Another Tank, the Navy used to blow it up for target practice back in the day. Happy Thanksgiving, I am so grateful for so many things! The thing that I would say that I am most grateful for would be Family! 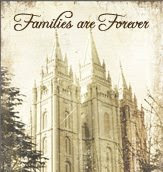 I am so thankful that we have the blessing of being an eternal family. Nothing brings me more joy than my two boys and my loving Husband! I am so thankful our families and I miss each of you! Holidays are always hard for me, being so far away from each of you. I can't wait tell we live a little closer. I am also thankful for all my friends as well. Travis has to work tonight so we decided to have Thanksgiving dinner at lunch time so he could get a little sleep before he heads to work the graveyard shift (yuck!). While I was busy cooking the boys played so nice together. Traivs took a few pictures of them, Hudson had made a tent for him with a bed inside and Remy had his bed on one in the shelf on the entertainment center. I love seeing them interact and play so well with each other. They are good little buddies. This was a few days ago, Remy was cuddling with his bear and blanket. I still can't believe that he will be two in January. Travis bought a football a few weeks ago and the boys have loved it for more than one reason. Here they are holding on for dear life. Travis and I also celebrated our 6th annivesary this year on November 22nd. Travis had to work that day so we were able to hang out that night. We are going to go on a over night trip to Culebra (which is a beautiful island) and one of our favorite places to go. I am so excited we go next week. I am so grateful for such an amazing husband, boy friend, best freind, and an amazing father to our boys! I love you Travis and can't wait to spend the rest of eternity with you!!!! I know these pictures are of when I was prego (2 years ago) with Remy but I love them and we don't have many pictures of just the two of us! We paint our pumpkins here because they rot really fast if they are carved. Hudson did a really cute on this year he is getting so big! Remy had a fun time painting also. Remy was the hit at the ward party and trick or treating. Most people knew who he was and loved it. I was brave this year and sewed Remy's costume on friday, It turned out pretty good and I had a lot of fun doing it. Spiderman, He would tell us his name was Peter Parker. He hasn't ever seen the show but he has a spiderman book that I read to him a while ago and he remembered a lot of it! I made the boys goblin sandwiches for dinner on Halloween. Hudson was so excited and said, "Hey I remember these we had them in Utah". Last year when we went to visit in October my Mom made these for him. This is what Remy thought of the worms, he sucked on them for a few minutes and wanted nothing to do with the pudding. Remy would get candy from people walking by. They would stop to see his costume and we would have him flex his muscles and most would pay up for the show. I am a little worried about my kid showing up on you tube or something because a few were taking pics. Hudson and his buddy Weston, super heros! They had a fun time trick or treating together and their other buddy Carter joined us so we had 2 spidermans and a superman running around. We had a few friends come trick or treating on base with us last night it was a lot of fun! We went to the zoo on Thursday with a few friends. It was a really long drive there and back but the kids loved the zoo and we had a really fun time. All the kids minus a few babies. Remy would be bigger than a penguin. I always have a hard time getting good pictures at the Zoo I wonder why? I am pretty sure that it is the huge animals, they are way cooler than someone thats trying to take the picture.